Small businesses, local governments and non-profits often need affordable ways to measure how effective their services are or to gauge what the public thinks about various issues. The Center for Applied Research and Education (CARE), a new initiative of the Psychology, Sociology and Social Work department at Middle Georgia State University, is designed to provide those services and more to community partners by leveraging the expertise of faculty and students. 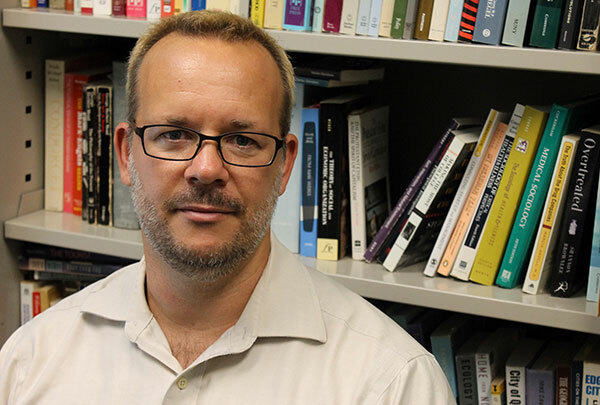 "CARE is primarily an at-cost, custom research service," said Dr. Michael Gibbons, assistant professor of sociology serving as the center's director. "Examples of projects our faculty and students can provide include grant assessment, needs assessment and satisfaction measurement. Strategic projects include interviewing potential customers to help guide development or meeting with citizens to document their understanding of upcoming legislation." Gibbons said CARE is working with LIFE League, a non-profit that provides sports and arts activities during summers for local children, to help the organization determine how effective those interventions are. The center is named as the assessment agency on a grant proposal the Bibb County Sheriff's Office has submitted to improve the mental health of jail inmates. "The community benefits because we can provide these services at cost and deliver information that smaller or public-sector organizations can use to address specific problems or issues," Gibbons said. "The university benefits because our faculty apply their knowledge and skills to address community issues and students get experience doing practical research and analysis outside the classroom. "The best-case scenario would be that we build a talent base of trained Middle Georgia State graduates able to do strategic consulting, as well as develop a market of potential clients who understand such research," Gibbons said. "Even if we don't reach that high bar, I will consider this successful if students have professional research experiences and local organizations can make better decisions based on our services." For more information about Middle Georgia State's Center for Applied Research and Education (CARE), contact Gibbons at michael.gibbons@mga.edu or Dr. David Biek, chair of the Department of Psychology, Sociology and Social Work, at david.biek@mga.edu.